The more I read about this egg freezing “insurance” the more it angers me. How come for a single IVF cycle a live birth is ca. 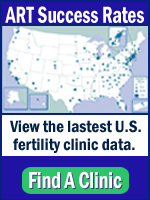 35 percent in under 35s and for IVF they recommend 3 cycles for a >75 percent chance of baby. This would equate to 30-45 eggs yet with egg freezing they are saying 10-15 eggs is a good insurance??!! I think unless you know a lot about IVF you just don’t have a clue if the attrition rate! I’m a few years time these poor women are likely still going to be child free when they come to unfreeze their eggs…. Thank you very much for your blog, which I wish I had found sooner. I have read your posts about the great difficulty of freezing eggs well and have a question regarding your opinion on specific labs’ egg freezing abilities. Due to staying in relationships that didn’t lead to marriage much longer than I probably should have, I started freezing my eggs shortly after my 38th birthday and have since done three additional cycles (I am now 41 and 8 months). My first cycle was at Fertility Centers of Illinois and my last three were at Shady Grove Fertility in Chesterbrook, PA. All four cycles were vitrification, not slow freeze. Do you know anything about these labs’ expertise in freezing eggs as opposed to embryos? I did at one point consider NYU because as far as I can tell they have the greatest number of cases that have resulted in live births, but they were so much more expensive than my other options. Thank you in advance for your input. Thank you, Carole. I really appreciate it.